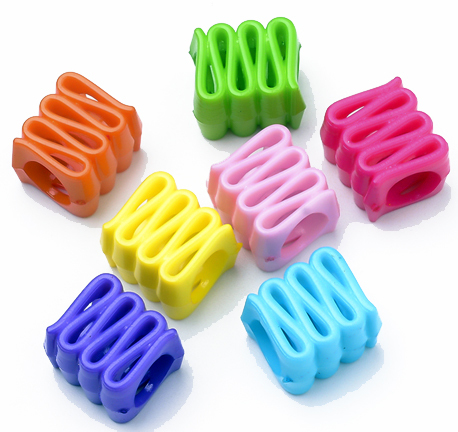 A fun, new bead that reminds us of ribbon or ribbon candy. The Ribbon Bead has very large hole which works on skewers, chain, neon shoelaces, paper rope, leather, leather lacing, sisal, cotton, paulie rope, etc.. The shape of this bead is sure to become a tongue teasing favorite with your bead loving parrot. 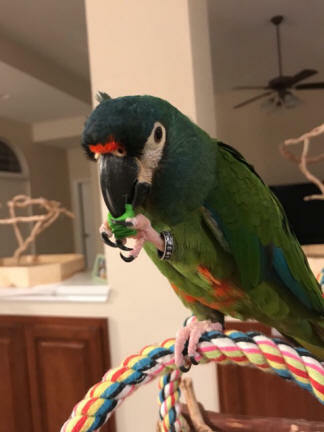 Just ask Mac, the Illiger Macaw ... he says the ribbon bead makes a make great foot toy!